Velma Ragland, 96, passed away April 11, 2019. 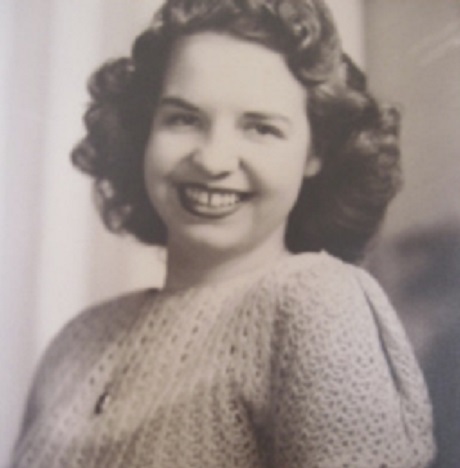 Velma was born February 2, 1923 to Thomas and Arval Hayes, the eldest of six children. Following graduation from East High School, Velma went to work for Woolf Brothers, Berkson Brothers and Rothschild’s department stores before moving to San Diego to work for Consolidated Vultee Aircraft Corporation. She later worked at Farmland in Kansas City. Velma was married twice - first to Robert A. Jones and Robert B. Ragland. Velma and Robert built their home in Oakview Village where they raised three girls. Velma and Robert loved to travel around the United States. Loading up the camper for trips to Lake Granby in Colorado or Pomme de Terre, Missouri, they were often accompanied by their trusty dachshund ‘Peanut’. Following Robert’s death in 1989, Velma continued to travel with family, visiting favorite places and seeing new sites. She was a voracious reader but would happily put the book down to watch the Royals on television or join a game of Skipbo or Phase 10. Velma was preceded in death by her parents, husband Robert, and siblings Lillian, Helen, Ruth, Betty and Maurice. She is survived by her daughters Pamela Sanford [husband Donnie] of Hot Springs Village, AR; Robbi Minden [husband Stanley] of Granger, IN; and Karen Ragland [husband Kevin Miles] of Kansas City, MO. She leaves behind four grandchildren, Tiffney Sanford, Alix Minden, Cameron Minden and Taylor Ost; as well as four great-grandchildren, Devon and Olivia Minden, McKenzie and Maci Minden. Velma appreciated her friends at North Oak Assembly of God and Friendly Assembly of God churches in Kansas City. The family would like to thank everyone at Our Lady of Mercy Country Home in Liberty, MO for enriching Velma’s final years. In lieu of flowers the family asks you to consider a donation to Encompass Home Health and Hospice Care (219 SW Noel St., Lee's Summit, MO 64063) in Velma Ragland’s name/memory. A visitation will be held at 1pm and funeral service at 2pm, Saturday, April 13 at Park Lawn Funeral Home, 8251 Hillcrest Rd. ; burial in Green Lawn Cemetery. Visitation 1PM, service 2PM, Saturday, April 13 at Park Lawn, 8251 Hillcrest Rd. ; burial in Green Lawn Cemetery. My thoughts and prayers are with you and your family. We look forward to welcoming you back when your ready. We are here for you.